Another group from Genova, this young three-piece was one of the italian bands with the strongest classical influences. They were formed in 1971 by guitarist Dellacasa, that had collaborated with I Giganti in their Terra in bocca, with the drummer Vitanza only 16 year old! A keyboards trio in the same style as ELP or Le Orme in Italy, their first album was Passio secundum Mattheum, with Bach-inspired music and lyrics on the Gospel. An ambitious work, it has its moments but can be boring at times. The band members had a good technique but their keyboard/bass/drums formula was repetitive and mixed with a melodic voice with a result that's not too convincing. A second album, Papillon, came the following year in a similar style, but the production was much better. The album contains two side-long tracks with the Beethoven's derived Patetica on most of side two being a nice example of their style. An english version of it was also recorded but only saw the light in 1992 on CD. The band had a good live activity, and even supported Van der Graaf Generator in one of their italian tours. 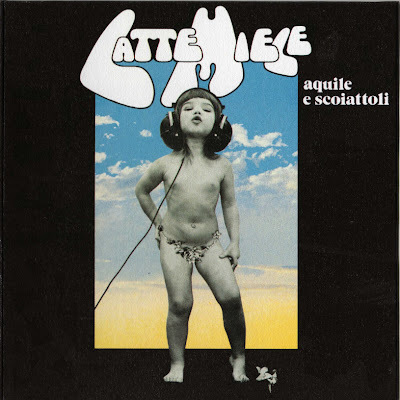 A good 1974 registrazione live was made available by Mellow with their Latte e Miele Live CD. After a couple of singles in 1974, the last of which was melodic and far from the albums' level, the group disbanded, and was reformed in 1976 by drummer Vitanza with three new recruits. The new line-up released an album for Magma, Aquile e scoiattoli, a very good album, maybe their best and most original work, containing a rendition of Beethoven and the nice Pavana, also released as a single (but curiously this appeared on Grog label). The band kept playing until 1980 with an always more commercial sound but the singles released were not successful. Their last single from 1980, Ritagli di luce, even took them to the Sanremo italian song contest. An album recorded in 1979 was not released until it was released on CD by Mellow in 1992. Called Vampyrs, and played by the three-piece line-up of Gori, Poltini and Vitanza, it's mostly pop-rock and not comparable with the band's previous works. Drummer Alfio Vitanza has collaborated with Vittorio De Scalzi in a revised New Trolls' line-up at the end of the 90's and is still playing nowadays with the recent De Scalzi's New Trolls incarnation called La Storia dei New Trolls. He is planning to reform the original Latte e Miele three-piece line-up for a one-off CD.